A 27-year-old Broward County woman is accused of two robberies at two separate banks – one at a SunTrust Bank in Fort Lauderdale and another at a Space Coast Credit Union in Miramar weeks earlier. After matching the fingerprints, authorities with the FBI Violent Crimes Task Force initiated an arrest against her at her apartment in Hollywood, the Sun-Sentinel reported. Cambridge, a mother of two small children, reportedly confessed her involvement in both robberies to authorities. She even went so far as to sign two photographs of the crime scene, circling the alleged robber in both pictures and writing the word, “Me.” She told investigators some of the money had been spent on her family and rent. She previously worked at a fast food restaurant and had just started a new job at a call center. Had authorities not had her confession, though, how airtight would their case have been? Well, it’s tough to say without knowing the full extent of the evidence they had gathered, but we do know that fingerprints are not a always a full-proof method of identification. As noted on the FBI‘s own website, fingerprints are a form of biometrics. These are measurable biological or behavioral characteristics that are used for identifying a person. In addition to fingerprints, there is DNA, irises, voice patterns, palm prints and facial patterns. 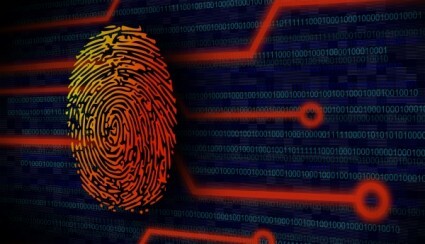 The FBI reports that biometrics has been “incredibly useful” to law enforcement. Fingerprints in particular are valuable because they vary from person-to-person (even identical twins will not have the exact same fingerprints) and they don’t change as a person ages. That said, the legitimacy of fingerprints as proof-positive identification is still questionable. Take for example the 2002 decision by the judge in U.S. v. Llera Plaza. The judge in that case issued a lengthy opinion concluding that fingerprint ID was not a legitimate form of scientific evidence. However, just six weeks later, the judge reversed his own opinion and found that despite certain questions raised, fingerprint identification and experts should still be allowed as admissible evidence in criminal cases. For example, one method is the so-called “point-counting.” This is when researchers count the number of same or similar ridges between two prints. However, there is no standard for how many similar points one has to have for a “match.” And it’s not really known how many similar points two random individuals could have with one another – Six? Eight? Twelve? The odds of two partial prints from people matching aren’t known either. This is especially true when the fingerprints in question are smudged or incomplete. We just don’t know what the potential rate for error is. These are challenges your Fort Lauderdale criminal defense attorney could potentially raise at your trial. This is why it’s important not to agree to answer any questions without your attorney present. No matter what law enforcement or prosecutors say or what kind of evidence they have, no case is ever completely air-tight. The less you say to them, the better your chances.